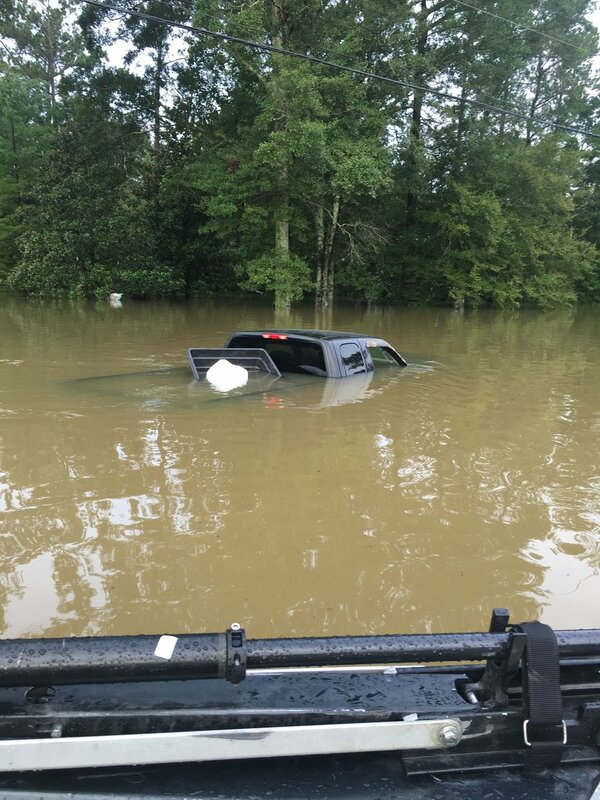 By now we have all heard of the devastating flood that overtook a large portion of South Louisiana. This has been called the Worst US disaster since Hurricane Sandy, according to the Red Cross. One of Connect Global's favorite places is directly in the middle of the worst of the flooding. Revival Temple is a church in Walker, LA that has been an amazing model of compassion, and selfless giving over several decades since it was founded. They give away hundreds of thousands of dollars every year to support their community, and communities around the globe. Connect Global, as well as our families personally & families we support, have been recipients of their generosity over the years in very significant ways. Each year at their missions conference alone they invest thousands of dollars to several ministries and organizations. They serve missionaries and organization leaders along with their families at this Conference each year and treat everyone within their reach with love and respect. They have invested in countless lives here in the US and around the world throughout the churches history. They have seen people though personal triumphs as well as tragedies like this flood, and though it all have always been gracious and humble about their influence and investment opportunities. When the storm hit and the rains came, Revival Temple was one of the first to convert their facility into a shelter. Revival Temple filled to capacity very quickly with people from the community seeking refuge from the rising water. Before long, however, they were moving every person from one facility to the next as the water reached their buildings as well. People were in sleeping bags and filling the church pews. The water was relentless and finally overtook their main facility as well. Pastor Daryl along with others helped rescue the already displaced community and church members from the rapidly flooding church building. At the peak of the flood the water level reached well over 18 inches in the majority of the building and at minimum was over 8 inches in every part of their three buildings on their property. People were rescuing those who took refuge in the church from the back of pickups and small boats at the height of the flood. Cleanup at Revival Temple has been no small task as the water reached every building. Volunteers from all over the US have shown up to help gut the building and clean up. Now that the waters have began receding the cleanup has been underway for over a week at this point. Teams from all over the US, including Florida, Alabama, and Texas have come to pitch in and bring supplies. They have gutted the church and are approaching the point at which they will turn over the rebuilding process to general contractors to complete the work. Pastor Daryl described to me the turmoil this flood has created but was quick to mention the hope that they all have. In the days since the flood, their church has continued their selflessness and generosity by sending relief teams to their neighbors and church members who were also impacted by the flood waters. Pastor Wes and their board members have been buying sheetrock and having it drop shipped to houses all over their community so they can all rebuild as fast as possible. Pastor Daryl said they are still in need of several things and he is reaching out to surrounding churches and shelters to confirm what is needed and determine what is already in surplus in order to guide others in their giving efforts. The Revival Temple Staff have created a spreadsheet and are diligently working to create a efficient process for helping those in the greatest need first such as widows, elderly, single parent families, etc. As the weeks go on there will still be great needs to fill. We are asking you to please consider giving in some way to Revival Temple. Revival Temple has been a beacon of hope in this community for decades and even now while providing cleanup crews to the city they have also set up a mobile counseling center in their parking lot along with a dedicated telephone line to help the community cope with this devastation. Pastor Daryl shared with me that there has been a spike in suicides due to the tragedy plus there has been intermittent looting surrounding the flood. Their church is determined to continue being a refuge to their community, let's link arms with them now and help be a part of their outreach efforts. Today, we are able to announce the availability of “The Hope Line,” a local telephone number that anyone can call who is feeling depressed, alone and afraid, hopeless, overwhelmed by the prospects of the flood recovery efforts that lay ahead, or whether there is just a need to hear a friendly voice. If you need to talk to somebody who can provide you with reassurance, optimism, hope or inspiration, or someone who is there to listen while you explain your situation and concerns, your fears, the anxiety you may be feeling or anything else that is weighing on you, please call.